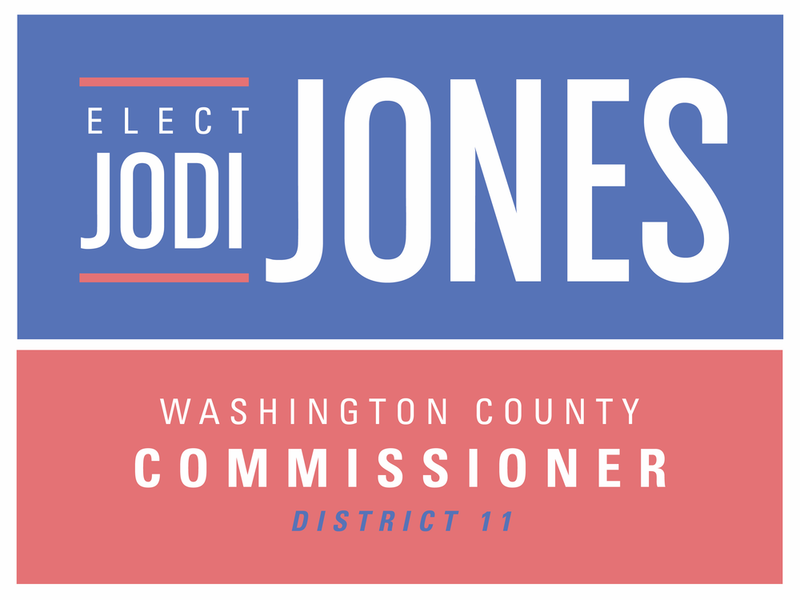 As an 11 year resident of Johnson City, I have been involved in my neighborhood and the downtown community on a range of projects as participant and leader. In my role as faculty in the Department of Family Medicine at ETSU, I develop innovative solutions to make primary health care delivery the best it can be. I live in the Tree Streets with my husband, Steve, a 20-year Air Force veteran, and our two boys, ages 10 and 13, who attend Johnson City Schools. Jodi, Steve, and Bridger Jones on move-in day, 2006. Jodi, Steve, Bridger, and Julian Jones 10 years later in 2016. Eleven years ago, my husband Steve and I moved here with our son, Bridger, to raise our family and make Johnson City our home. A few years later, our second son, Julian, was born, and then my parents moved here as well. We chose Johnson City because Steve had just retired after serving 20 years in the Air Force and I had an opportunity to join the faculty at ETSU, but also because we wanted to live in a smaller community with easy access to outdoor recreation. Today, I am a faculty member in ETSU's Department of Family Medicine. Steve is advancing his career in geography/imagery/mapping by attaining a master's degree in Geosciences at ETSU. Our sons, now ages 10 and 13, attend Johnson City Schools. We are a typical active family attending school functions, soccer games, and music concerts. We stay connected to our community, particularly our neighborhood, and the outdoors. Weekends find us helping with community projects, visiting friends, attending events in town, or hiking, biking, swimming, or camping in the region. Yes, this keeps us very busy! However, I work hard and enjoy living as fully as I can with a strong focus on my personal values. I am a third-generation American, born in the famous steel town of Bethlehem, Pennsylvania. My great-grandparents immigrated to Bethlehem around 1900 from Czechoslovakia and Yugoslavia. Our family is a case example in the American Dream. My immigrant family lived crammed in tiny apartments working long hours and physically demanding jobs to set the footings for our family’s future. They did it: with each generation our family’s quality of life improved. My grandparents did not finish high school, but my parents finished college. I also graduated from college (B.S. ; University of Pittsburgh, 1991) and I am the first person in my family to obtain an advanced degree (Ph.D; Auburn University, 1998). The story of my family’s history has made an indelible mark on me, setting my values around the importance of perseverance, steady employment, and family bonds. My grandmother is the baby in this photo taken around 1924. Her parents immigrated about 6 years prior from Slovakia and Hungary. They eventually had 11 children. My grandfather is the boy in the center. His parents immigrated from Yugoslavia less than a decade prior. My parents and siblings and our children in 2017. In 2015 I had the chance to provide training in the area of pediatric psychology in Tbilisi, Republic of Georgia. Presenting with ETSU colleagues from nursing and pharmacy. In 1998 I earned a doctorate in Child Clinical Psychology from Auburn University. For several years after, I worked at the University of Nebraska Medical Center as a faculty pediatric psychologist . In 2006, I came to serve on the faculty at ETSU. Stigma, cost, and other barriers prevent many people from getting the help they need for depression, anxiety, or other mental health concerns. Since the start of my career, I have been developing programs for delivering mental health services in primary care. People trust their doctor, and if mental health can be delivered along with physical health care it makes for a strong whole-person model. At ETSU, I am working on health care innovations that involve a wide range of professionals including psychologists, pharmacists, physicians, nurses, and social workers. I have been recognized nationally for my work in this area and especially my emphasis on evidence-informed health care. My 20 year career has been a source of great joy to me and I am deeply appreciative of every opportunity I have, whether it be helping a single individual follow their valued direction in life or helping a health care team maximize their potential for delivering a quality service.